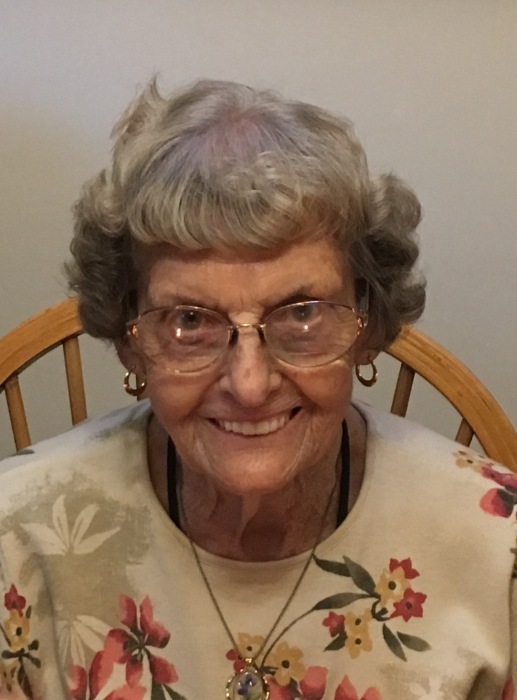 Thelma M. Taylor, 97, of Belden Road Bedford, PA died at 11:15 AM, Tuesday, January 29, 2019 at Donahoe Manor Nursing Home. On November 29, 1968 Thelma married E. Ray Taylor. He preceded her in death on March 28, 2004. She is survived by Sister- Janet Mae Fetter, Bedford. Thelma is preceded in death by Brothers- William, Herbert and Earl Taylor. Thelma was employed at Leuins Shoe Store, Straubs Clothing and Cogan’s Shoe Store. Thelma enjoyed quilting. She was a member of Pleasant Hill Bible Church. Friends will be received on Monday, February 4, 2019 from 10:00-11:00 AM at the Louis Geisel Funeral Home, Bedford. A funeral service will be held at Louis Geisel Funeral Home, Bedford at 11:00 AM on Monday, February 4th, with Pastor Deken George officiating. Interment at Bedford County Memorial Park, Bedford. Memorial contributions may be made in memory of Thelma M. Taylor to Pleasant Hill Bible Church 2793 Briar Valley Road Bedford, PA 15522.